Order in 12 Hours 37 minutes 30 seconds for dispatch today! 5mm Stretch Neoprene Glove, completely covered with PU honeycomb grip. 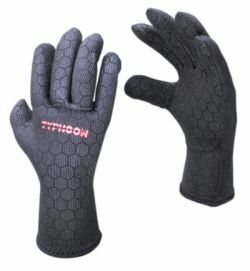 A very comfortable form fitting glove to minimise water movement increasing Warmth.